Elements Applied: Aromatic components and plant seeds are applied in herbal medicine. Various lipids, carbohydrates, fatty acids, proteins, and sterols. 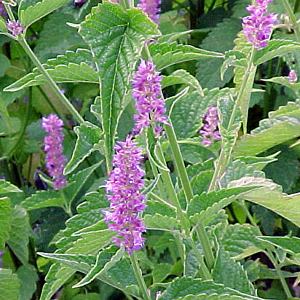 History: The plant has become famous since ancient Greece, when Hippocrates applied it for treating coughs. Anise was also contained in a pie which Romans made to commemorate their victories and celebrate their holidays. The flavor contained in the herb (licorice) was conventionally applied to treat digestive system disorders, colic, and to increase sexual desire. In ancient China the plant was as well applied to treat digestive problems, meteorism, and make one’s breath smell pleasantly. In England the plant was prescribed for treating hiccups, inducing excessive milk excretion in breastfeeding women, to boost fluid movement in the body, treat headaches, and respiratory diseases like bronchitis, asthma. It was additionally prescribed for cancer. Used For: The plant is widely applied for its expectorative capacity, which aids in treating respiratory diseases, like coughs, asthma and bronchitis. Applied for increasing lactation, fighting meteorism, relieving spasms and killing microorganisms. Also valued for its aromatic properties. Applied as an aid for memory, a treatment for oily skin, and used to neutralize acid environment. Additionally the herb is applied for its aromatic capacity, and is very popular in treating meteorism. The plant is being investigated for its capacity to cure cirrhosis and hepatitis, and is successfully applied for certain types of prostate cancer, for symptoms of menopause, and for digestive system disorders. It is the volatile oil that takes responsibility for the plant’s effectiveness in curing meteorism, bowel colic and spasms. Due to its expectorative ability the plant is applied for treating coughs, especially those induced by bronchitis, tracheitis, and other diseases which cause strong and painful coughing. This capacity is explained by enhanced mucus excretion and circulation the herb provides, making the inflammation less irritating. The natural effect, close to that produced by estrogen, which takes place due to photoanethole and dianethole abundance, ensures excessive milk production, makes childbirth easier and enhances sexual desire. Anise plays a stimulative role in the organism, boosting one’s digestion and eliminating gas accumulation, as well as flatulence commonly experience by newborns and little children. The plant is used as an aid in complex herb treatments, due to the fact it’s able to prevent spasms which can occur as a result of herb intake. Additional Info: The plant is highly respected in Chinese medicine and in Ayurvedic practice, and has gained its popularity since the ancient times. Aniseed comes in different types, but the most frequently met is the species cultivated in Spain. Anise is registered in the plant family where carrot and parsley belong. Preparation and Intake: To make a remedy for strong and persistent cough you need 7 teaspoonfuls of aniseeds, 1 quart of water. Boil up the mixture and keep it on low heat until the volume reaches 1 or half a pint. Filter the mixture and aid it with 4 teaspoons of glycerin and 4 teaspoons of honey (to preserve the remedy). The dose is 2 teaspoons when necessary. As a memory aid the remedy is taken in a quantity of 2 tablespoons thrice daily. Commonly mixed with Caraway and Fennel to produce a positive effect on meteorism. In case of bronchitis the herb is mixed with Lobelia, Horehound and Coltsfoot. In form of infusion the remedy is used in a dose of 1-2 teaspoons for a glass of water, boiled up and infused under a cover for 10 minutes. Before preparation the seeds should be grinded in order to make the volatile oil effective. Drunk in a quantity of 1 cup thrice a day. For meteorism the infusion is drunk at a slow pace just before food intake. The oil is taken in a quantity of 1 drop per 1/2 teaspoon of honey. Safety: In the US the remedy is considered safe. In the UK Anise is a non-prescription remedy. In Canada the herb is non-prescribed as well. In France Anise is a conventional medicine. In Germany it’s used as a non-prescription medicine, as well. Though anise is commonly practised for morning nausea in pregnant women, the herb should be avoided in course of pregnancy. When taking a course of contraceptive medications, anise is not recommended for use, as it contains a substance close to estrogen by its functions. Estrogen may further lead to headaches, blood stagnation, and even brain tumors. Anise is listed as safe and reliable by the FDA, and thus can be applied by anyone, except breastfeeding and nursing women. An overdose of anise oil (some teaspoons) can lead to vomiting and sickness. It’s not recommended to apply the remedy without speaking to your health-care provider.